Not since the Teenage Mutant Ninja Turtles met Vanilla Ice have they been this cool! 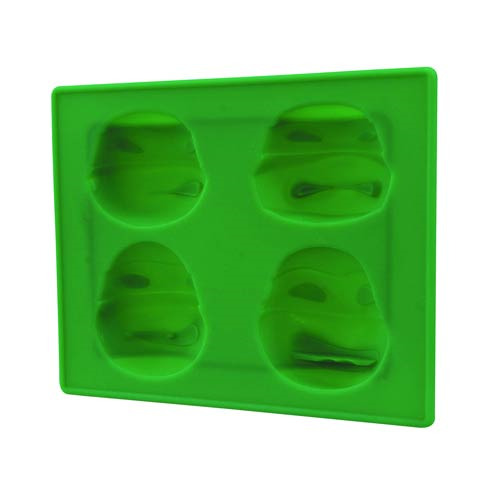 This 6-inch long x 4-inch wide silicone tray allows you to cast up ice cubes, gelatin and even chocolate in the shape of the 4 turtles, as well as the Ninja Turtles logo! Turn any Pizza Party into a Turtle Takeover! The perfect companion to the Teenage Mutant Ninja Turtle bottle opener and pizza cutter (both sold separately)! Comes packaged in a full-color window box. Ages 8 and up.